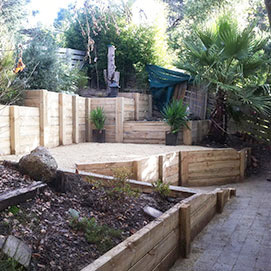 Retaining Walls are used where the levels of the land need to be retained to create more useable space. They also act to inhibit soil or other materials from causing gravitational pressures affecting a property. Gnangara utilise specialist earthmoving equipment for jobs that require earthworks to change the latent conditions to ultimately make the land more useable. 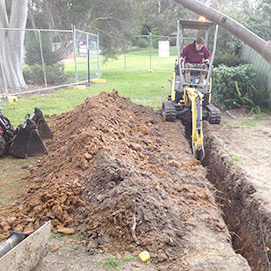 We also specialise in mini excavation works, tight access digging, auger drilling and site clean ups. Paving easily adds style to any area. It is essential to ensure that the levels are correct to assist with natural drainage. 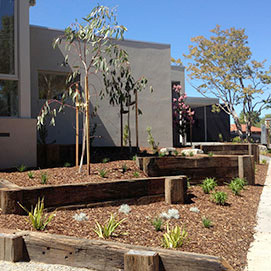 Gnangara specialise in a wide range of paving styles and materials such as natural stone, concrete pavers, bricks or tiles. Whether you need a new driveway or have an existing driveway we specialise in paved, exposed aggregate, concrete, coloured concrete and topping driveways to match your scope and budget. 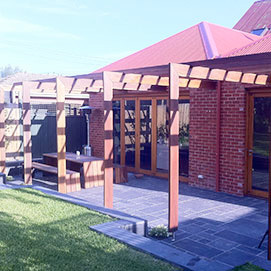 Timber structures can add form to any outdoor whether it is a pergola for an outdoor alfresco area, a deck, fencing, box seats and screens for privacy. 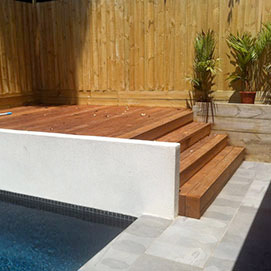 Gnangara Landscape Construction specialise in Decking, Pergola’s, Fencing, Box Seats, Screens. 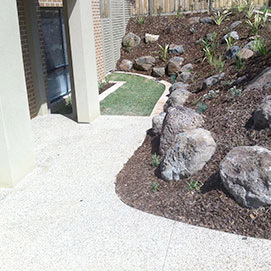 A professional landscape adds value to any property. It is also an opportunity to provide many years of satisfaction being connected with that space, watching it grow, develop and change over the years and the seasons.